Today we're talking about complementary colors. 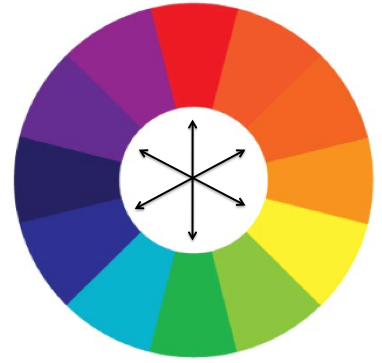 Complementary colors are the two colors that sit across from each other on the color wheel: Red-Green, Blue-Orange, and Yellow-Purple. Being on opposite sides of the color wheel means that these duos complement each other the most: blue makes orange more orange, orange makes blue more blue. 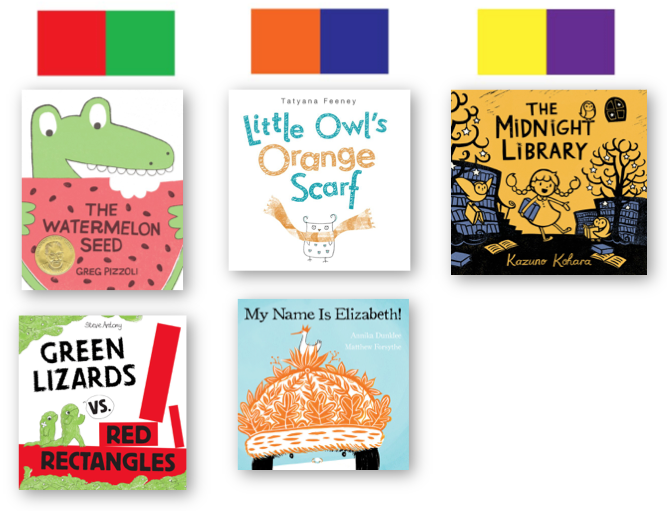 So when illustrators choose to illustrate a picture book using only complementary colors, it's almost always visually stunning. Picture books that break the fourth wall are common, but picture books that use the structure of the book itself to interact with the reader are definitely harder to come by. Enter This Is My Book! by Mark Pett! I don't know how I resisted Deborah Marcero's Ursa's Light for five and a half months! It's one of those magical books that has somehow magically alluded me for an embarrassingly long amount of time. So when I was in the UK the other week and I saw it in a bookstore, I knew it was finally time to get it. Best. Decision. Ever. 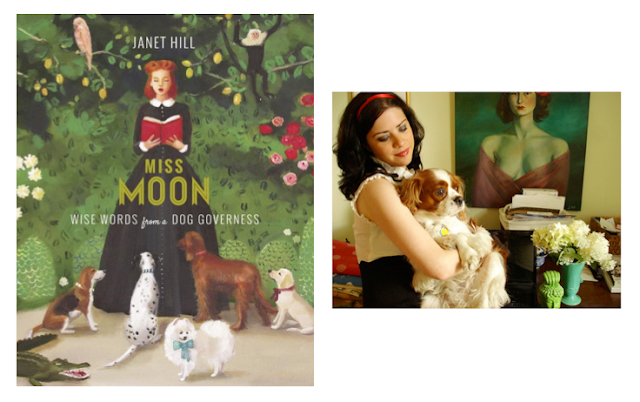 Back in January at the American Library Association's Midwinter Conference, I saw Janet Hill's Miss Moon: Wise Words From a Dog Governess for the first time. I remember walking past the book, picking up a poster (finally framed it last week!! 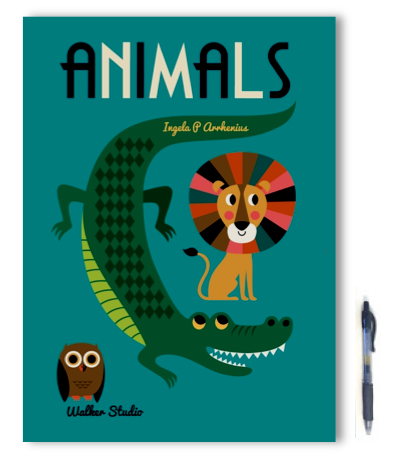 ), and then eyeing the book for the rest of the day as I walked back and forth across the display floor. Have you ever seen one of those accordion books that folds out into one giant story? They're not very common anymore, but these beautiful books are called leporellos. They're the perfect choice for visual storytelling because they are printed and folded accordion-pleat style which allows for a 3-D experience of the book. Illustrators develop leporellos in different ways, utilizing its unique structure to fit a variety of purposes. Ping Zhu, for example, wordlessly recreates the story of Swan Lake (Flying Eye Books, 2014) so that it can literally be connected at both ends: one side shows a theater full of spectators watching the ballet and the other shows the dancers getting ready and more of the behind-the-scenes moments. Since the stories run in parallel, the ends can be connected to essentially show what's happening in all the areas around the building. It's beautiful. 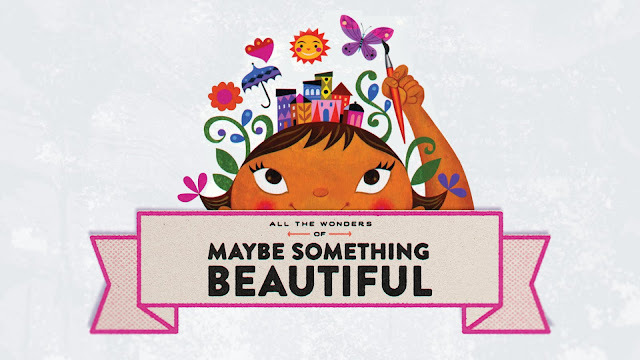 This week at All the Wonders we're celebrating All the Wonders of MAYBE SOMETHING BEAUTIFUL, the true story of how a community rallied to revitalize their neighborhood. Stop by our feature page to take a look inside the book, get craft ideas, learn how you can contribute to your community, and more! 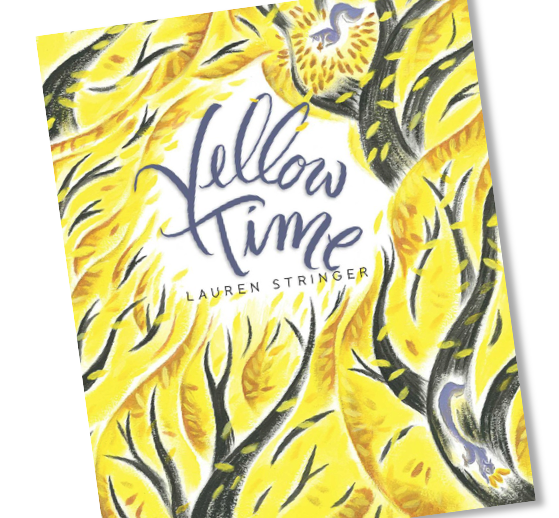 I'm so excited that this month's theme for #kidlitpicks is Turn, Turn, Turn, mostly because it's the perfect excuse to showcase Lauren Stringer's new picture book Yellow Time. As the season begins to change from summer to fall, it's finally yellow time, a time when yellow leaves in the trees mean large imaginations and lots of fun. Neighborhood children all come together to play in the leaves and follow the crows, the only birds who aren't too busy to enjoy the new season. I was so excited to take a look at Archie Snufflekins Oliver Valentine Cupcake Tiberius Cat, Katie Harnett's debut picture book. It is so sweet and so adorably illustrated--not to mention it's about a cat--that you can't help but open it right back up to read again when you're finished. There's a wandering cat who lives on Blossom Street, and every morning he visits each and every house on the street. Every house, that is, except for number 11. No one visits number 11. Until one day the cat decides to give it a shot. It's hard to come by a book as precious and dreamy as Kaya Doi's Chirri & Chirra. The text is translated from the Japanese original, and you can tell from the cover that this book is special: it makes me want to pull the book jacket off and hang it on my wall. As August rolls through our lives, we find ourselves slipping into that back-to-school mentality: back-to-school means new clothes, new school supplies, and most importantly, new friends. Even as adults we get butterflies thinking about meeting new people, so it’s tough to imagine placing our kids in that position of needing to make new friends and coming out of their shells in new environments. 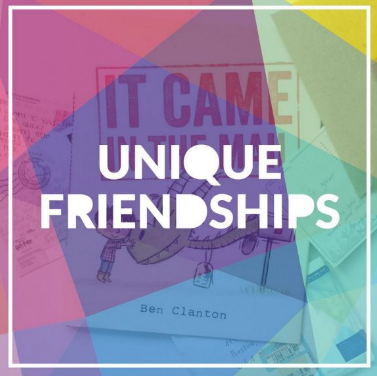 Here’s the round-up of Unique Friendship stories shared throughout August (I picked the theme this month!) and quotes from individual reviews.